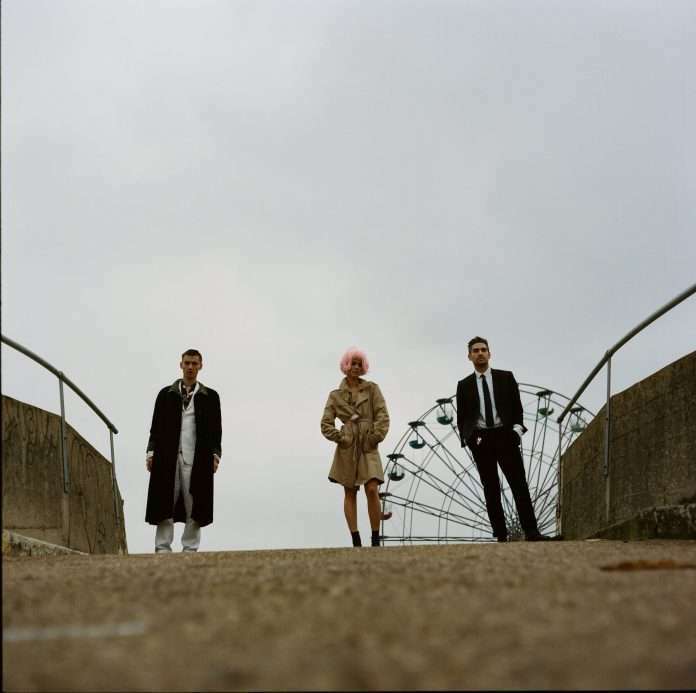 Margate trio Soma World have create an atmosphere to embed yourself in. Carefully piecing together a soundtrack to drive at night to, the group have crafted their debut EP, ‘Come Into The Light’, a three track collection of driving, melancholic synth pop inspired by love, loss and the light that comes from clarity. Set to a wash of saturated synth tones, distorted ambient textures and steadily building electronic elements, opening track ‘Sharks’ is the perfect introduction to the Soma World sound; affecting, ethereal, yet simultaneously hard hitting. Featuring an authoritatively delivered dual-vocal chorus, Soma World offer up their pop credentials in a completely unique way – inviting all who listen into their domain without ever getting too close. Second track ‘Come Into The Light’ inverts ‘Sharks’’s foreboding wall of sound, slowly introducing reverberated guitars, mid-tempo percussive elements and an infectious vocal line that stays with the listener long after pushing play. Final track ‘Another World’ is swathed in 80s nostalgia – inviting dreamlike atmospheres that give way to driving synths and yearning, soaring pop songwriting that calls to mind the work of synth-pop artists past, but in a completely progressive, forward thinking way. Soma World’s ‘Come Into The Light’ is an incredible statement of intent from a three-piece still shrouded in mystery. With the project, the trio emerge from the smoke somewhat to create some of the most promising darkly-hued, nostalgia tinged electronic rock created on these shores in recent memory, and ensuring that the first chapter in Soma World’s early story is powerful, highly accomplished, and provides unlimited promise going into 2019.